Somewhere along the southern end of Big Sur I passed through the big city of Gorda. I stayed here once before when I learned the lesson that you don’t drive through Big Sur at night. Why, you’re wondering? 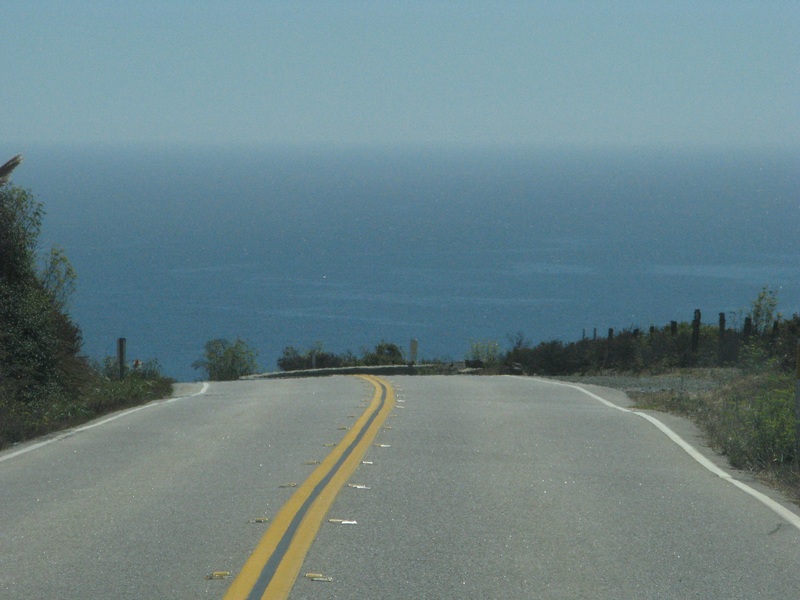 Because it’s very dark, because you’re driving on the edge of some very steep cliffs and because you would miss some of the most beautiful coastline in America. Here in Gorda you will find a restaurant, the Whale Watcher’s Cafe, a gas station, a general store, which is also City Hall, four rooms to rent upstairs, cabins to rent out back, public bathrooms, alcohol and one hell of a view. In these pictures you can see the entire city of Gorda and its spectacular view. Also here in Gorda, adjacent to the parking lot, is The Living Tree, a big ol’ Redwood tree that you can literally enter by simply walking through a door! After a nice meal at the Whale Watcher’s Cafe I was back on the road. The bull elk was chasing off another bull from stealing his harem. All along this amazing coastline, besides seeing the majesty of the land, you can also witness the majesty of the sea. Here, and all along America’s western coast, you can observe droves of whales traveling north and south, migrating throughout the year to Mexico or Alaska. 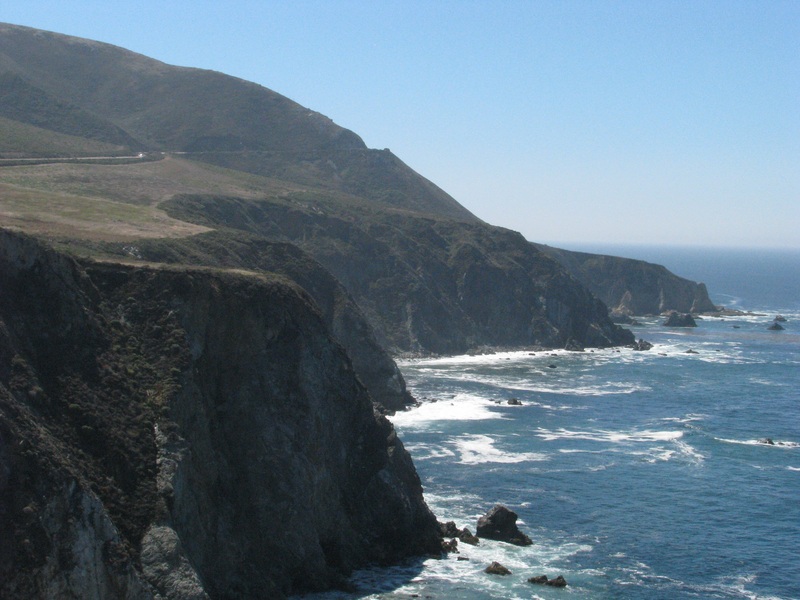 In places like Big Sur, where the land juts out into the ocean, you’re likely to see whales such as Humpbacks, Blues, Greys, Fins, Minkes and Orcas. 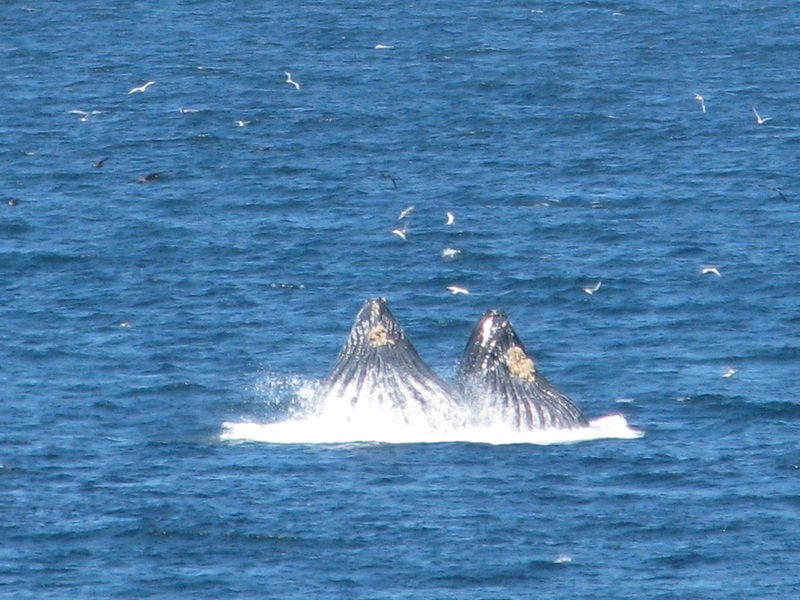 I saw dozens of Humpback Whales during my drive through Big Sur. I hope the dream of California remains.